Vape Clones vs. Authentic - Who wins the Battle? Everyone seems to know that feeling… When there’s a high-quality product that you like, and you’ve been probably saving some money for the joy of having a real deal, but then suddenly you run across something exactly similar for nearly ¼ of the price! This little Chinese thing tempts with all the advantages and oftentimes, ridiculously low price. Moreover, there are chances that your friends won’t even notice the difference. Same goes for vape clones. So, is there a crucial difference in the big question: authentic vs. vape clones? Is the clone a waste of money or a bargain? Does the authentic vaping device justify the huge gap in the price points? We’ve made all the research and testing, and the results appeared to be controversial. Read on to discover what we found. Vape clone is a detailed copy of a certain model of vape device, developed by a popular brand in the vape industry. Obviously, this is not a case of intellectual property respect. Vape clones are being manufactured mostly in China. The clones producing became a huge business of Asian countries: billions of copies of expensive smartphones, cosmetics, etc. are shipping worldwide, often free from additional delivery costs and taxes. Some high-quality replicas are fully legal in above-mentioned countries, and it’s common to find hundreds of shops in skyscraper shopping malls of Japan stuffed with iPhone copies. Speaking of vape clones, the quality really differs. Vape clones are not just a product of one fake brand; there are lots of Chinese manufacturers delivering those products. Some of them become favorites of advanced, demanding vapers around the world, and some of the clones end up being a complete disaster. Our general recommendation is to look up some reviews and order only trusted vape clones that get nearly a 100% positive feedback online. What is a Box Mod Clone? Let’s say two similar packages with box mods are put on the table. You unwrap it and encounter two completely identical products. The question is – which one of them is the clone, and which is the original. At times, clone companies are so precise in recreating exactly the same look that it’s almost impossible to distinguish it from the authentic piece of hardware from the first sight. 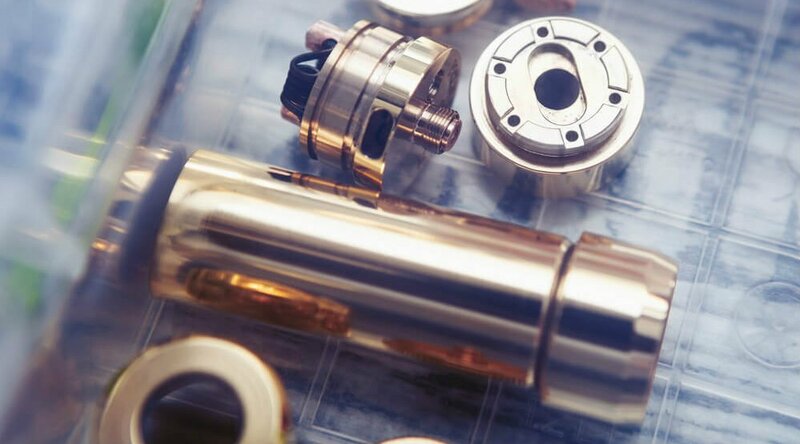 However, when it comes to such high-end products like a box mod, the difference in performance may put you off clones forever. 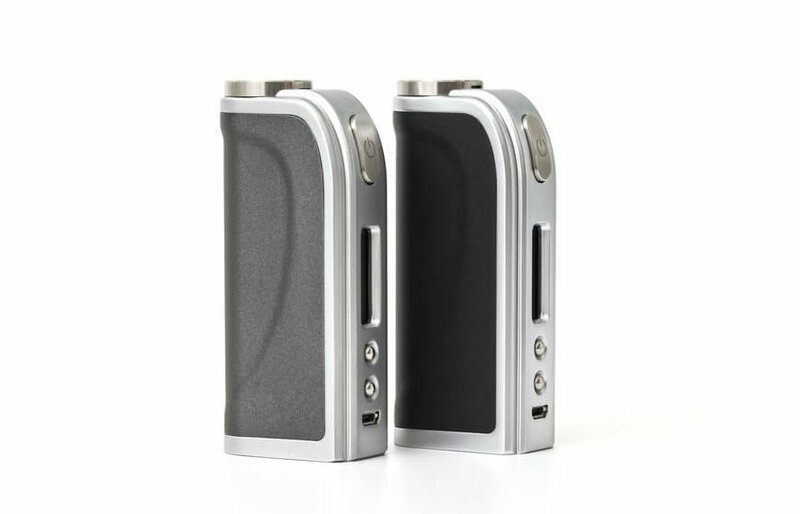 Some vapers admit that box mod clones don’t deliver precise wattage and temperature. The build quality may also be an issue in small yet irritating details like loose buttons and battery doors, unsafe 510 pins, and fragile threading. Otherwise, you can come across a very nice copied items. Some websites offer quality vape replicas for over $50. The thing is that the design of the box mod could be unique and the number of original brand vapes is limited, so even if you have enough money, it’s a problem to get one. While the clone gives you a chance to try out that vape device and be satisfied with plumes of vapor instead of dreaming of impossible. Why buy authentic Hana DNA30 box mod for $100, if you can get all of that for $30? Probably that’s what most of the vapers are thinking because this clone is one of the bestsellers of its kind. The beautiful anodized aluminum body features advanced protection components. The wattage range is 7-30W, which proved to be accurate. The voltage varies between 4-8.3V. The mod accepts 0.3-3.3ohm coils. The device has a standard locked mode and power locked, stealth mode, sleep mode, right-hand and left-hand alignment. The semi-transparent body of this box mod looks fantastic and unlike others. Besides, it is made of high-temperature resistant acrylic. The 510 threaded connector has got a copper center pin. This mod fires up from two 18650 batteries, which are not included in the kit. Some batteries may short in this mod, so it’s better to upgrade it with MOSFET and, probably, better wiring. 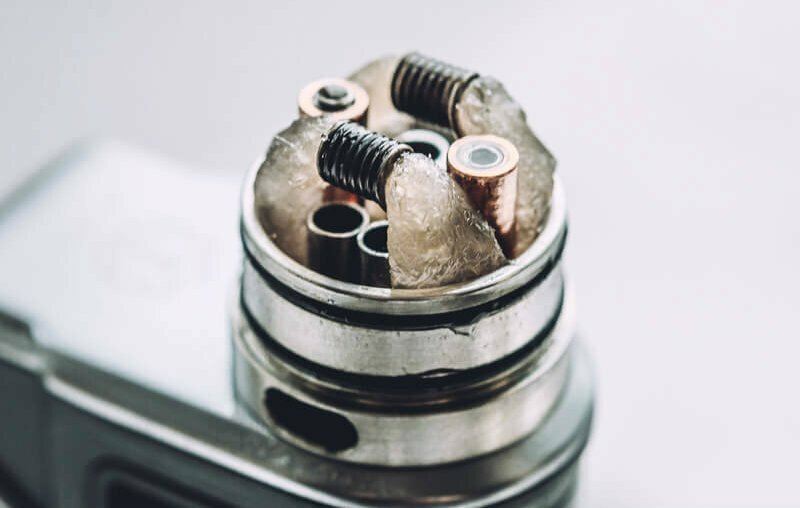 What is an RDA Clone? Most vapers believe that RDA, RTA, and RDTA are pieces that hard to mess up. They include no intricate machinery. RDAs are primarily designed for holding a coil build with a wick in it, so buying it for above $100 is a disputable choice. Even though, there might be a possibility of a trash build, even if the outer resemblance is indistinguishable. Bent deck posts and airflow valves, rattling and hard to remove pieces might get in the way of a good vaping session. Because all the user experience will be ruined by additional time spent on dealing with junk parts. The RDCA sounds like something new in the RDA world. While the previously unknown “C” stands for Customizability, the design of this RDCA is truly gorgeous and unique. The authentic Gorgon from SvoeMesto brand retail price is $113 which is a little over the top, while the clone price is only $6.99! Interestingly enough, the clone version features both two-post deck and a clamping velocity deck, looking the same as the real deal ones. Also, for some reason, the clone width is 25mm instead of 26mm. The copy has just the same glass windows on the sides, 12 airflow valves and the top shield as the original Gorgon. Some people keep chasing rainbows while vapers like a friend of mine are happy with their V2 Zenith RDA clone for as low as 12 bucks. This stainless steel little buddy is 22mm in width. With a diameter like this, it manages to contain a good amount of e-liquid. The sliding airflow control is enhanced by tri-pole design and slit pole holes. The 510 threading connection is made of chromed brass. The cool thing is that some retailers have a 45 days money back guarantee and 6-months return for a replacement policy. A great mech mod for only $26.99 that is fully made of true copper! An amazing design with engraved millings and patterns with a cool twisted shape is a dream to vape. The battery contact is also made of copper. The authentic piece is challenging to find both online and in person, and it would cost you at least 4 times more expensive. This mod has a sturdy build without any flimsy parts. It fires up from a single 18650 battery (sold separately). Features a magnetic power button. Top airflow system. The one of a kind square tube mod by Hell Hound is now available for 22 dollars instead of authentic $150 and more. The clone is made with quality. It features a magnetic top cap and magnetic side-mounted firing button. The 510 center pin and bottom battery contact are silver-plated (for real!). This is a very considerable build for the money it takes. By the way, it is perfectly compatible with a Hellboy RDA that is also cloned and sells for $12 instead of $100 for the authentic one. Some legendary blends of famous e-juices sometimes get too expensive for vapers, especially those who live outside the US. That’s why, lots of people are trying to make their own DIY version of the premium and most popular, but unfortunately, unreachable by many, e-liquids. The ones that taste just like the original spread the world in the form of e-juice clone recipes. 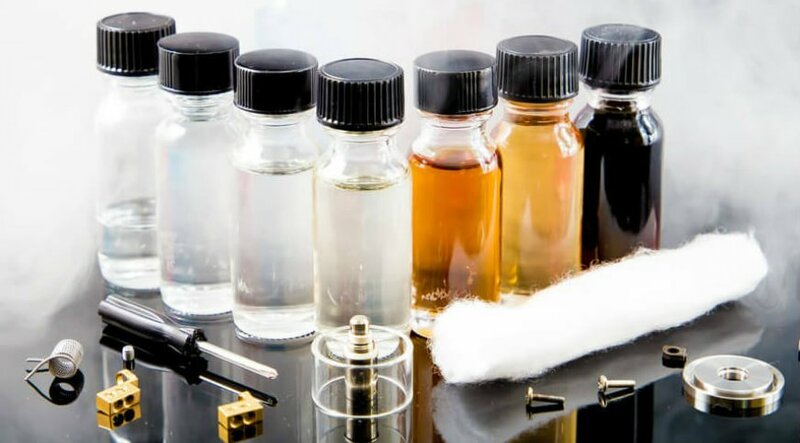 To make your own E-juice, you will need a base from PG and VG in a preferred correlation (or the way it’s made in the product that you wish to clone). Then there goes a freebase nicotine. Be especially careful with a concentration of this and don’t keep the pure nicotine liquid in the same fridge with food products. And of course, the most exciting part is picking up the flavor. Different flavors are sold separately, whether it’s apple, tobacco or cereal taste. But to get some special blend, you’ll have to experiment. It is not guaranteed that the recipe you’ll find on the internet will appear 100% similar to the expensive authentic one. Below we gathered e-juice recipes that get pretty much close to the authentic, and you can enjoy the huge bottle for the minimum price. The best steep time is approximately one week. I wish you included coils in your review. I’ve bought clones instead of authentic Cleito120 coils from a private seller through eBay. I tried one and the quality was pretty good. What information may you have regarding coil clones?